Glasses are easily scratched and broken and constantly need cleaning, while contacts expire quickly and are easy to lose. With LASIK these problems disappear. Your partner will never have to search around for missing glasses or contacts again, and instead, will see the world with perfect vision with no worries about falling asleep with them or having them dry out. LASIK is the gift that keeps on giving: it’s both sweet and practical. Cards and flowers are great gifts and will be appreciated, and dinners make great memories but material things often are misplaced or don’t last, and even with some of the greatest memories, details become forgotten or mixed in with others. Clear vision is something that your partner will be able to appreciate and benefit from every day, whether it be from seeing your face clearly in the morning after they wake up, reading signs from far away or anything in between. 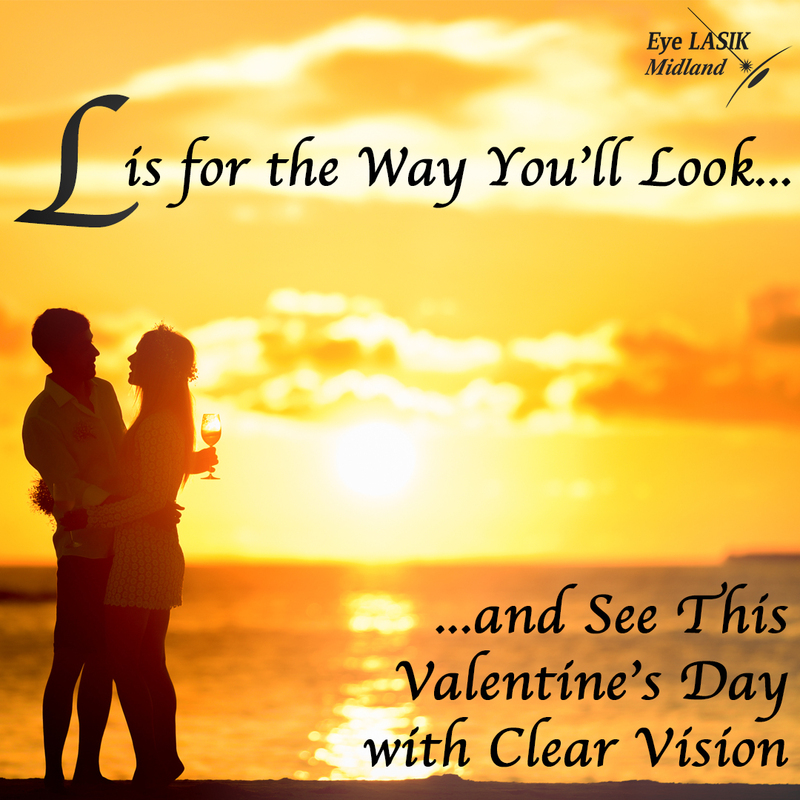 Since LASIK is a medical procedure, you may be under the impression that it may take too long or be too invasive to be a good Valentine’s Day gift. Contrary to popular thought, LASIK actually only takes a few seconds per eye to get done. Your partner will need to come back for a few quick check-ups after, but LASIK is not nearly as long or invasive as surgery done on other parts of the body. After the quick and painless procedure and checkups, your partner will be able to go out and enjoy life with clear vision. James Adcox O.D.Cara Sczepanski O.D.Michael Pawlowski O.D.Joy Luke O.D.Charles Luke O.D.Griselda Benavides O.D.John Marshall O.D.Clipper Strickland O.D.Ted Seymore O.D.Justin Jackman O.D.Sriyuta Thota O.D.Aaron Urias O.D.Stephanie Wilson O.D.Chuck Phillips O.D.James Harper O.D.Madlyn W. Babb O.D.Andrew Blankenship O.D.Maria G. Ceballos-Corral O.D.Billy Cook O.D.Ashley Lamm David O.D.Laura Garica O.D.Blake Golson O.D.David L. Gray O.D.Jeannie B. Gray O.D.Jeff Grigsby O.D. M.S.Steve Hankinson O.D.Donald L. Hembree O.D.Douglas Holle O.D.Heather Kern-Golson O.D.Alan C. Larsen O.D.Charles Luke O.D.John H. Marshall O.D.John Paul Matthews O.D.Mike McAndrews O.D.Francisco J. Morales O.D.Rick Munoz O.D.Hulon H. Pass O.D. Choose LASIK, Change Your Life.